Frances Bailey received a Bachelor of Science in Nursing from East Carolina University in Greenville, North Carolina in 2000. In 2006 she received a Master degree in Nursing. Frances was a Registered Nurse with Pitt County Memorial Hospital in Greenville, North Carolina and Craven Regional Medical Center in New Bern, North Carolina prior to working at Craven County Health Department. 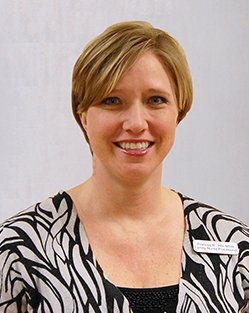 She has also worked with Craven County Smart Start, Inc. She is nationally certified as a Nurse Practitioner and is a Registered Nurse with the state of North Carolina. She joined Southern Gastroenterology Associates, a division of Coastal Carolina Health Care in April 2007. Frances is currently accepting new patients.